SEATTLE, WA -January 17, 2014 - Tooth & Nail Records announces the welcomed return of Anberlin with the band's re-signing and release of their new and final studio album due out this summer. In support of their final studio album that is currently being recorded, Anberlin will set out on a final worldwide tour to say thank you to all of their loyal fans. Yet to be announced shows will include USA, Canada, Brazil, UK, Netherlands, Australia, Singapore and Philippines with more countries to be announced. The band will also be a part of the massive 2014 Vans Warped Tour celebrating the tour's 20 years as one of the largest summer festivals. "We are honored to welcome Anberlin back to the Tooth & Nail family, and we're humbled that they've chosen to work with us for the final chapter in their storied career," shares Brandon Ebel, Tooth & Nail Records' President. "Anberlin is among a few select bands that come to mind when thinking about the legacy of Tooth & Nail Records. We look forward to making Anberlin's final year memorable for everyone!" Anberlin has had a highly successful career for more than a decade that has included six studio albums (Blueprints for the Black Market -2003, Never Take Friendship Personal -2005, Cities - 2007, New Surrender -2008, Dark is the Way, Light is a Place -2010, Vital -2012) and an extended edition release Devotion - 2013 and has sold more than 1,000,000 albums to date. Anberlin originally signed and released their debut album in addition to their second and third studio projects on Tooth & Nail Records. The band is excited to return to the label to release their final project. Click on the video below to watch a personal announcement from the band. Hailing from central Florida, Anberlin formed from the ashes of various other area projects. Led by the soaring vocals of Stephen Christian, Anberlin also includes Joseph Milligan (guitar), Nathan Young (drums), Christian McAlhaney (guitar), and Deon Rexroat (bass). The band has toured the world extensively with seven full-length records, headlining shows as far away as Russia and Australia, as well as supporting heavyweights Smashing Pumpkins, Linkin Park, and 30 Seconds To Mars. Tour dates throughout the year will be announced. About Tooth & Nail Records: What began in a bedroom over twenty years ago has grown organically to become the enthusiastic support system behind many of the most influential rock bands in history. From inception, Tooth & Nail Records Label founder Brandon Ebel quickly became immersed in a connected network of musicians, clubs, fanzines and promoters. Tooth & Nail Records has been the home to many staple and innovative artists including MxPx, Underoath, Anberlin, Norman Jean, mewithoutYou, MAE, Thousand Foot Krutch, Hawk Nelson, Haste the Day and The Chariot. Combined with sister label Solid State Records, Tooth & Nail Records has released over 600 projects and sold more than 20 million records including multiple RIAA Gold-certified albums, GRAMMY® nominations and other prestigious honors. Headquartered in Seattle, Tooth & Nail Records is the parent company to Solid State Records. For more information, visit www.toothandnail.com. 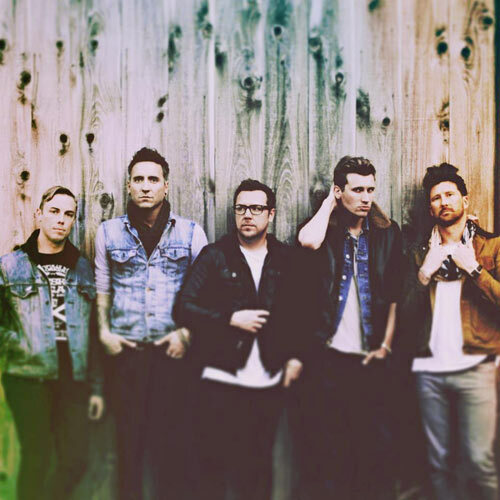 For more info on Anberlin visit the JFH Artists Database.